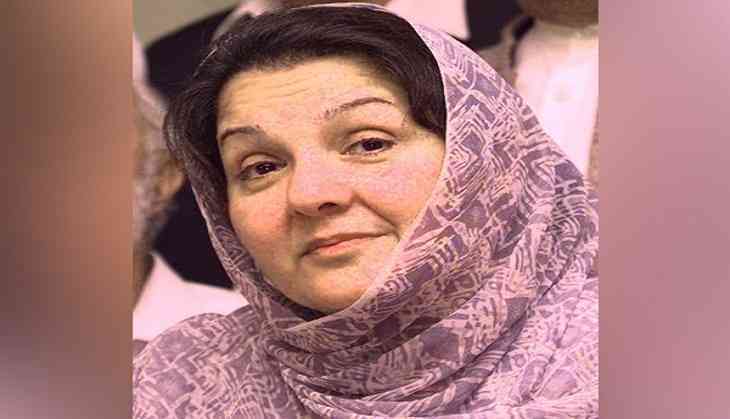 The mortal remains of Begum Kulsoom Nawaz, the wife of jailed former Pakistan Prime Minister Nawaz Sharif, will be flown to Pakistan on Friday. The Pakistan Muslim League-Nawaz (PML-N) on Wednesday took to Twitter to inform that the funeral prayers for Begum Kulsoom will be held in London at the Regent Park Islamic Centre on Thursday at a local mosque, reported GeoTv. PML-N quoted its leader Rana Sanaullah as saying, "The body will then be transported to Heathrow Airport, wherefrom it will reach Lahore's Allama Iqbal International Airport Friday morning, around 6 AM. Her second funeral prayers and burial will be held in Raiwind, Jati Umra." Following the demise of Begum Kulsoom, Nawaz Sharif , daughter Maryam and son-in-law Captain (retd) Muhammad Safdar were released on a parole in the wee hours of Wednesday. The former Pakistan first lady passed away on Tuesday afternoon at a London hospital after battling lymphoma (throat) cancer. She was 68 years old. She served as Pakistan's first lady for three non-consecutive terms from 1990-1993, 1997-1999 and 2013-2017. Kulsoom is survived by her husband and four children - Maryam, Hassan, Hussain and Asma. Her husband and daughter are presently serving jail terms after being convicted for corruption.